Receive a bouquet from your secret admirer in JVN59146. This romantic satin ball gown blossoms with a bold floral print. The bodice has a plunging V-neckline, connected with a thin strap. Tank straps and sleek side cutouts lead to the captivating open back. 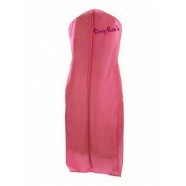 The full, floor-length, pleated, A-line satin skirt is finished with side pockets. 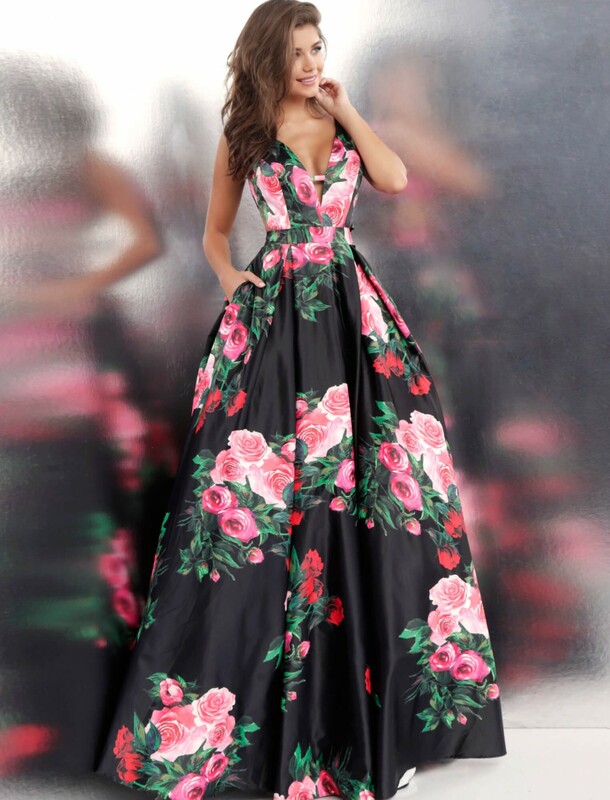 Have a wonderful time in this ball gown at a prom, charity ball, or Sweet 16.